Establish a connection between your ACT! 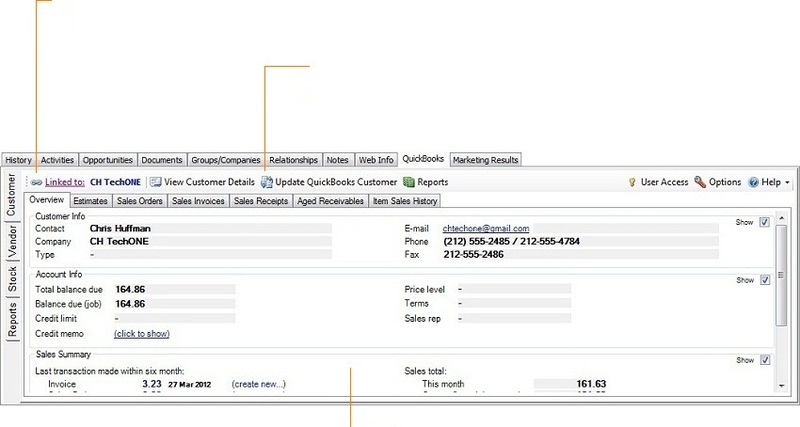 contacts and QuickBooks records. have multiple contacts in ACT! linked to the same record in QuickBooks. View & update QuickBooks customers from within ACT! the customer record in QuickBooks will be automatically updated in ACT! 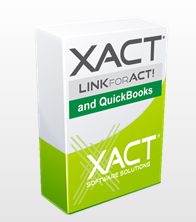 View live QuickBooks customer account information in ACT! Track key sales metrics and history such as YTD Revenue and Average Sales, pulling real-time data fromQuickBooks. We don’t believe in running sync processes in the background, slowing your computer and leaving you with old data. both applications are instantly updated.